Welcome to Six Sentence Sunday, No Flowers Required style! 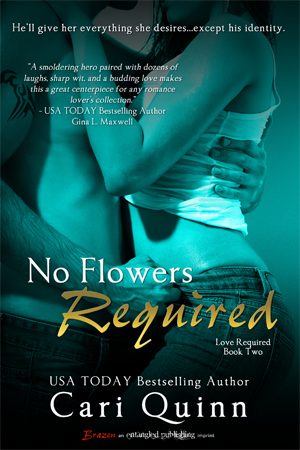 No Flowers Required, book 2 in the Love Required series, released in late August. Better yet, perhaps she’d found someone to make her very happy to be alive for a few hours. Someone who would make her forget about huge spiders, possibly ruined boots, and impending financial collapse. Though she should probably talk to him before she started plotting sexcapades. “I’m assuming you’re the building handyman?” Alexa prompted. Yes, but what service? :) This encounter should prove very rewarding. Great six. I read No Flowers Required last week. Loved it. Dillon is yummmmy.